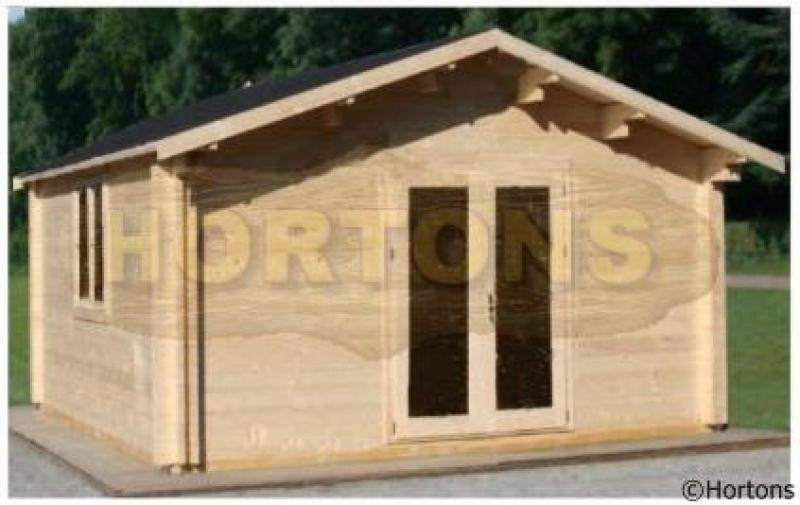 UK Log Cabins have been supplying high quality wooden garden buildings and outdoor timber structures for over 25 years. 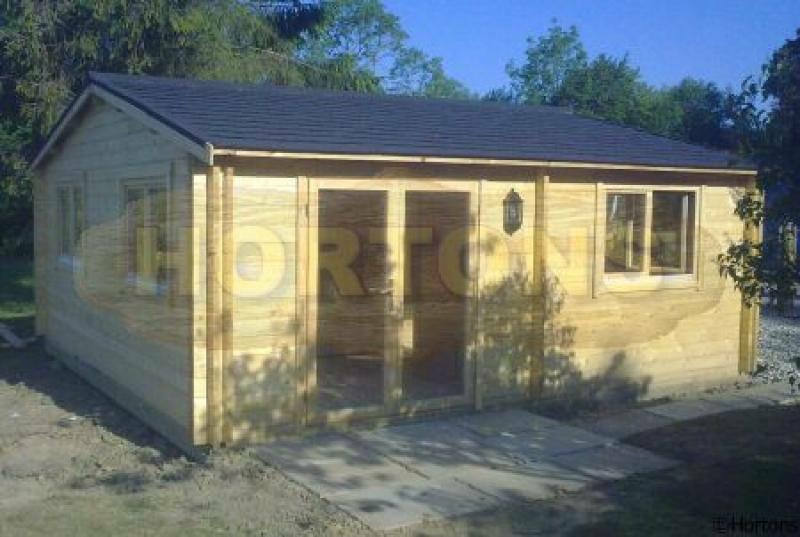 Our exciting range of garden offices has been developed in response to a surge in demand for home working in recent times. 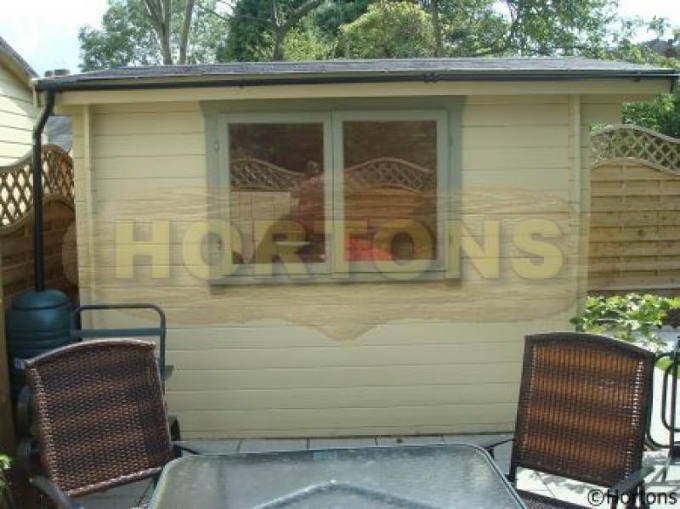 With a fully functional log garden office built in your garden, what better way to truly enjoy the benefits of working from home while avoiding the daily commute? 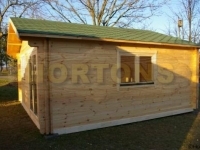 UK Log Cabins have extensive experience in designing and erecting attractive timber garden offices that are built to last. Whether your preference is for a classic design or modern architecture, single skin or twinskin insulation, we can supply the perfect solution for your tastes and requirements. At UK Log Cabins, we understand the importance of getting the design just right for you, which is why we encourage you to share your requirements and ideas with our team right from the outset. With our own dedicated factory, we can customise your garden room to suit your needs rather than having to settle for what’s available ‘off the shelf’. What’s more, your chosen structure can be customised with a range of home accessories including high performance double glazed thermos glass windows and verandas. Of course, all additions will use the same high quality building materials and techniques as the rest of the building to provide an overall result that ticks all the boxes in terms of functionality and appearance. 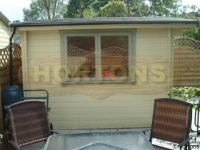 If you are planning to install a wooden garden office on sloped terrain, we can supply a raised timber base kit to solve this awkward problem. With the use of the kit, we can construct the timber garden building quickly and efficiently without having to level out the ground first. Why not speak to a member of our friendly, knowledgeable team to see what the options are? 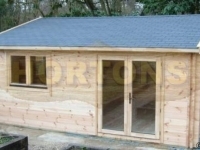 Give us a call today on 01293 822722 or visit our large showground near Horsham, West Sussex. 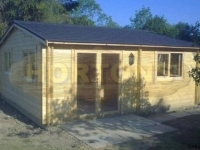 With any timber framed building, and especially a garden office, you need to ensure a comfortable working environment. Choose our Twinskin log cabins and insulated framed timber buildings for all year use, and enjoy spending time in a garden office that’s as warm and cosy as the rest of your house. 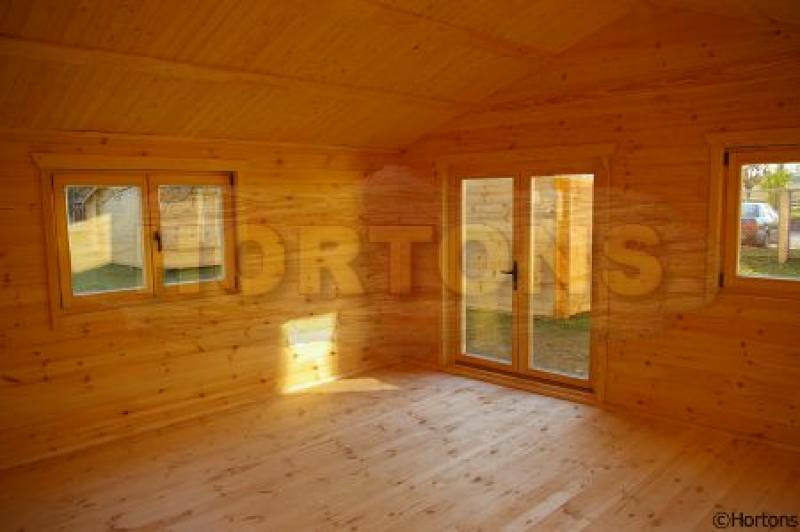 Once insulation is in place, the walls of your timber building can have the thermal value of a much thicker solid wall, with welcome space savings and very low running costs as a consequence. Our standard Twinskin boasts a better performance than a mobile home, with an optional upgrade to the same levels of insulation as a modern brick built house at very little extra cost. 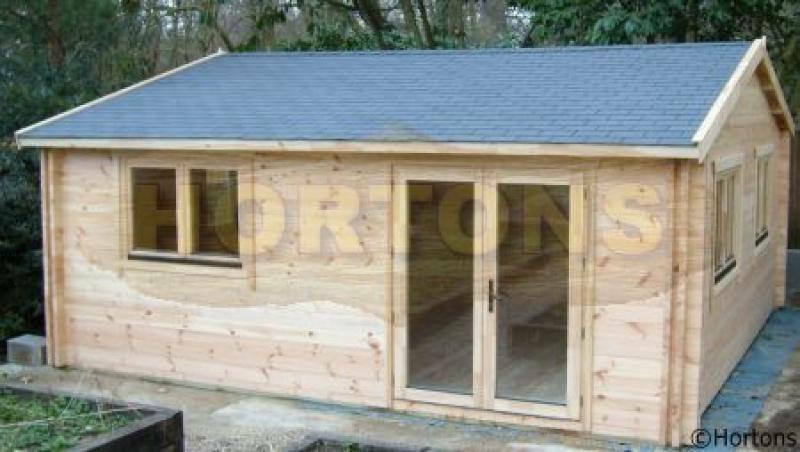 We’re proud to say that the exceptional insulation quality of UK Log Cabins’ Twinskin log cabin offices exceeds almost every other insulated timber garden building on the UK market. 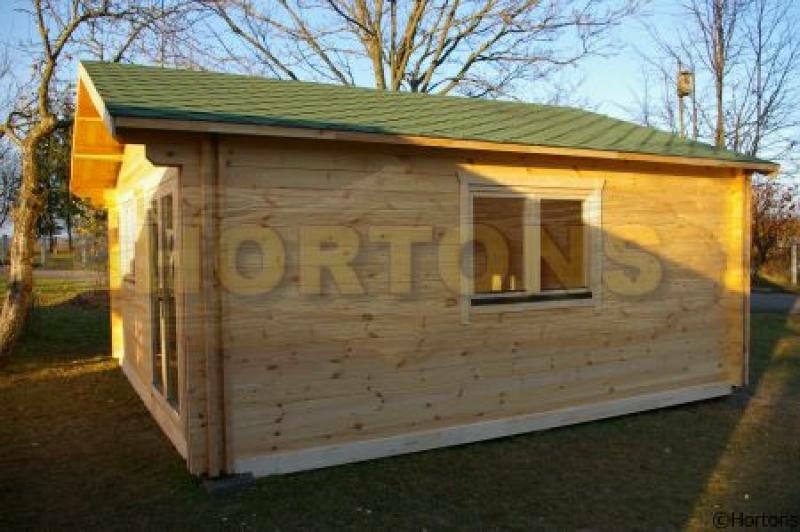 UK Log Cabins are experienced suppliers of high quality garden buildings, log cabins and all kinds of timber structures for your garden. Not only do our buildings look great, they’re also constructed with environmentally friendly materials. We source our timber sustainably and locally wherever possible, to lower our carbon footprint and minimise the harmful effects on the natural environment in which we all live. 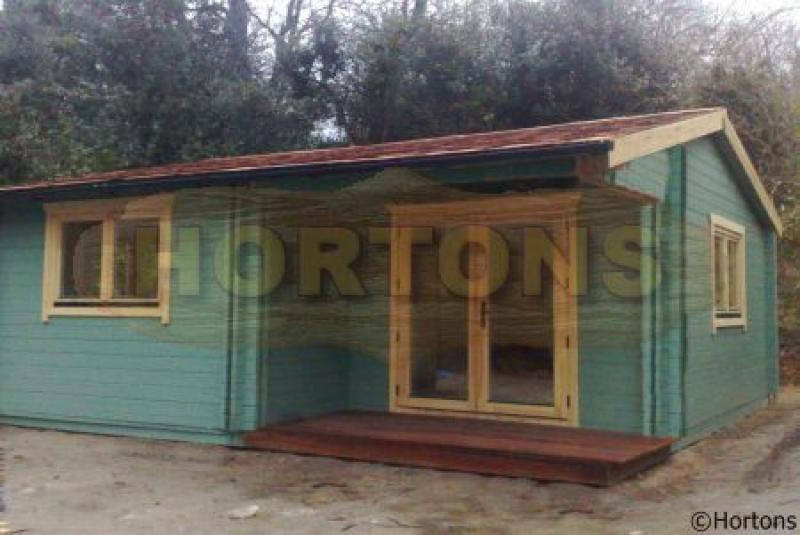 What’s more, our garden offices offer excellent value for money, being more economical and quicker to design and build than many other alternatives. 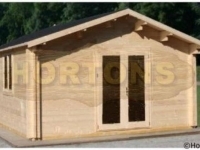 Wherever we can, we will endeavour to price match or even beat lower rates offered by other log cabin office suppliers for the same product. Free delivery to most parts of the UK is included in our price. 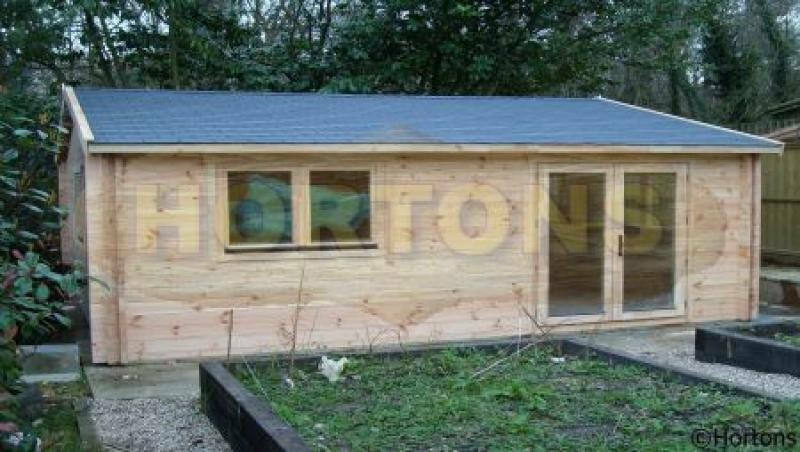 For an overview of our product range, take a look at our online catalogue for in-depth information on all our garden offices, including specifications for size, height and the depth of the canopy. If you’re ready to make a decision, you can order your log cabin office online straight away. 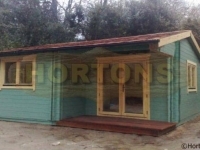 To view our garden building range in person, why not come and visit our West Sussex display grounds near Horsham where you will find many classic and contemporary garden offices and studios for you to explore. Our helpful sales team will be on hand to answer any questions you may have and can advise on the best garden office for your needs. 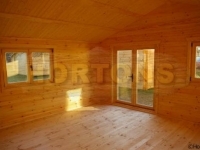 For your convenience, the UK Log Cabins showground is open every day. 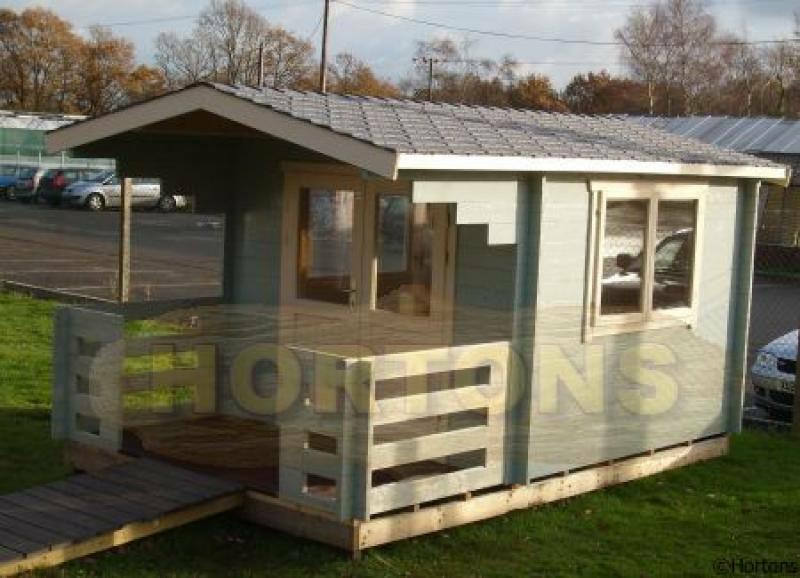 For enquiries about log cabin garden offices or any of our timber framed structures, please don’t hesitate to get in touch. 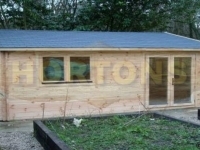 We can be reached by phone on 01293 822722 or by emailing sales@hortongroup.com. Alternatively, you can send us a short message via our Contact Us form. We look forward to hearing from you.